1.Lucyhong Networks Enterprise - MOHON SEKARANG !! 2.Agensi Pekerjaan Dream Job Sdn Bhd - MOHON SEKARANG !! 3.Liew Khong & Co - MOHON SEKARANG !! 4.Autoflo Technology Sdn. Bhd - MOHON SEKARANG !! 5.GB Shop - MOHON SEKARANG !! 6.Holm Decor Sdn. Bhd - MOHON SEKARANG !! 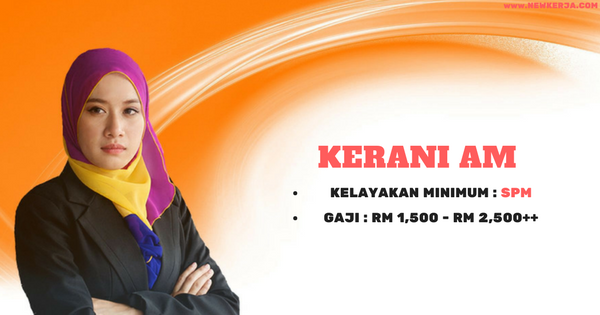 0 Response to "JAWATAN KOSONG TERKINI SEBAGAI KERANI AM -MINIMUM SPM / GAJI RM1,500.00 - RM2,500.00"